Since we had about half an hour before seeing America's Musical Journeys, we checked out the exhibits on the first floor, which includes several that are temporary exhibit spaces that had changed since our last visit. 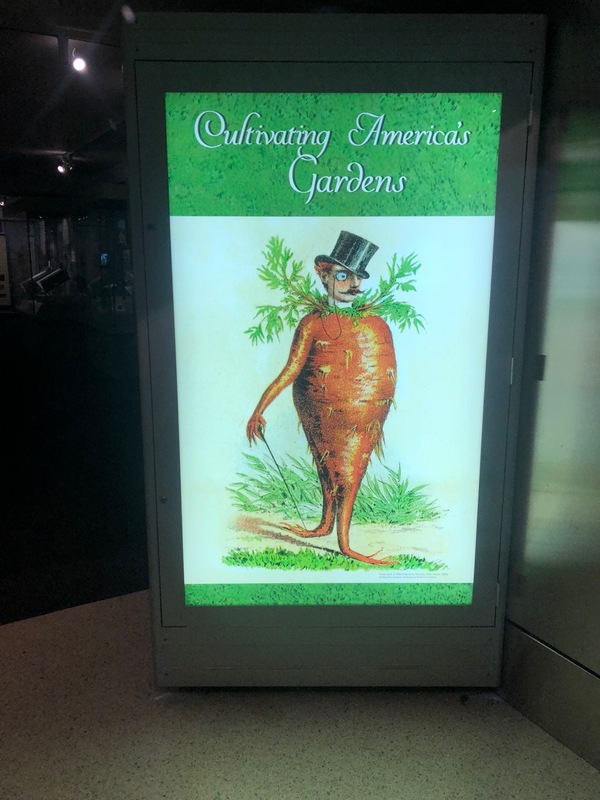 In particular, we enjoyed the "Cultivating America's Gardens" exhibit, which I had forgot all about wanting to check otu. This exhibit is the current one in the Smithsonian Library Gallery, which has been my favorite temporary exhibit space since we saw the "Fantastic Worlds: Science and Fiction, 1780-1910" exhibit back in 2015. I just love how they use mainly books as the artifacts to give thematic history even when it's not really even so specifically about books like the science fiction one was. Metro Accessibility Note: Closest metro station is Federal Triangle (Blue/Orange/Silver). Smithsonian (Blue/Orange/Silver) is often also recommended as nearby for this museum and if you take the escalator exit it probably is closer or same distance as Federal Triangle, but the elevator is several blocks further, so Federal Triangle is definitely closest if you are exiting Metro via elevator. We used to just use Archives (Yellow/Green) since it was a shorter train ride for us to take Yellow instead of Blue into D.C. and it's only a little more walking. Now that we live in the District, though, we just walk since it's free as well as usually faster. 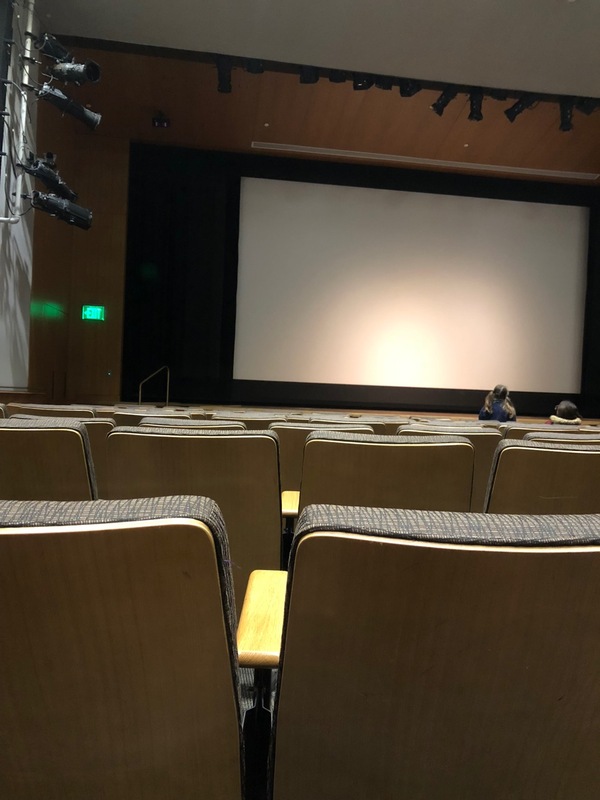 I had been wanting to see America's Musical Journeys movie for over a month and we originally planned to see it at the Air & Space Museum since it is closer to home, but we took too long to get around to seeing it there. Thus, we decided we better go see it at the American History before it stops playing here as well. Before this movie, we didn't even know this museum had an IMAX. Well, it turns out that, in fact, they don't despite it clearly saying IMAX 3D Showtimes right on the movie page. Thus, we were kind of disappointed as soon as we got in the theater. However, the theater actually is good. In particular, Mik enjoyed how they had a place for wheelchairs at both ends of two rows about half way down (there's also spots at the back). It was just disappointing that we expected a huge IMAX screen and it was smaller than most movie theaters. Plus, it costs the same as the Smithsonian's actual IMAX showings. We both enjoyed the actual movie. The musical journey through the U.S. as Aloe Blaac went on tour and showcasing different genres and their development was interesting and well done. Unfortunately, the 3D and visuals were not so good, but we think that was mostly due to it being meant as an IMAX movie and it didn't translate well to a smaller screen. Also, there was light (green exit sign, I think) coming from behind us that caused a glare in my glasses. 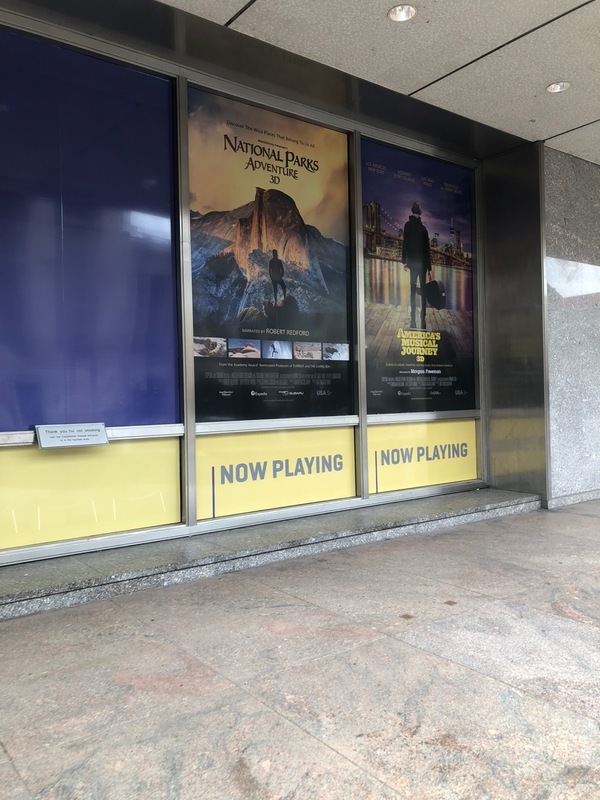 Basically, we learned our lesson to just go right away when something comes to the real IMAX at the Air & Space and not go here unless it is a non-3D movie.